Tom Svilans is an Innochain PhD fellow at CITA in Copenhagen. His research focuses on the link between industrial timber fabrication and early-stage architectural design. Through hands-on prototyping, coding, and industry secondments, he looks at how certain material properties and behaviours of timber can be leveraged to create smarter and more innovative design solutions. He focuses on free-form glue-laminated timber as a specific area of inquiry, and proposes that through a reconsideration of existing processes – a reshuffling of steps such as bending, gluing, and machining – and more material-aware design modelling methods, we can arrive at new, innovative, and more accessible free-form timber structures. 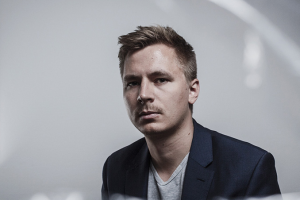 He is partnered with White Arkitekter and Blumer-Lehmann AG. Before joining CITA, Tom was a Teaching Fellow at the Bartlett School of Architecture in London where he specialized in robotics and digital fabrication, and he was Technical Director at ScanLAB Projects where he was responsible for workflow development, creative direction, and international fieldwork. Tom can be reached at [email protected].